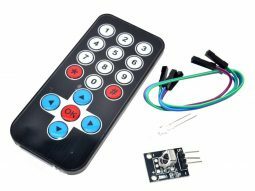 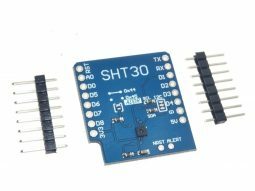 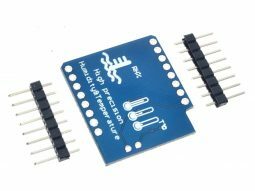 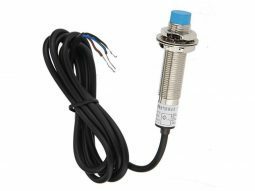 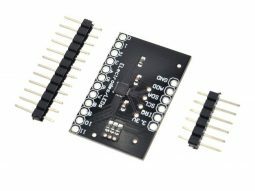 Ultrasonic Distance Measuring Sensor HC-SR04 Arduino etc. 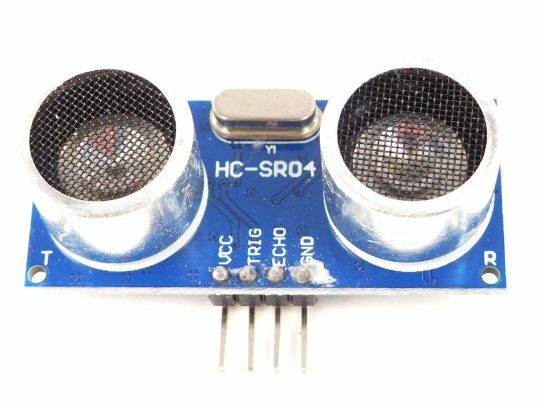 Ultrasonic Distance Measuring Sensor HC-SR04 for Micro Controller (Arduino, Raspberry etc.). 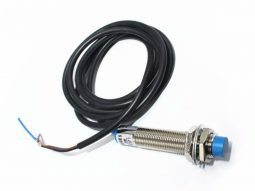 Measuring range 2 – 400 cm, resolution 3 mm. 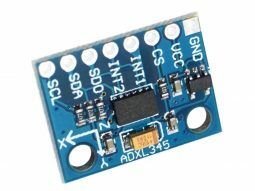 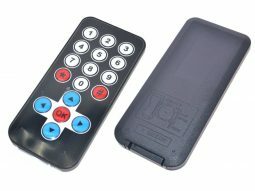 Very easy to use ultrasonic distance measuring. 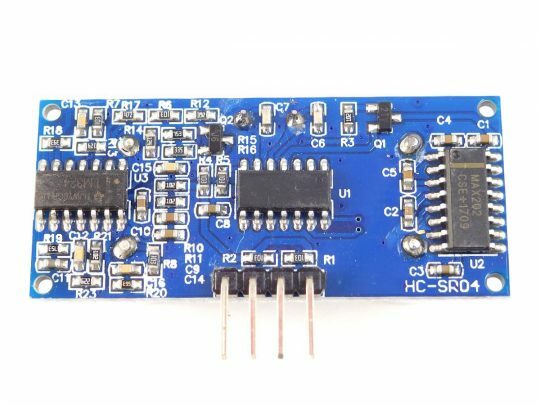 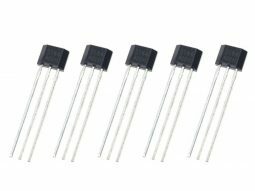 The small PCB contains ultrasonic transmitter, receiver, and control logic. 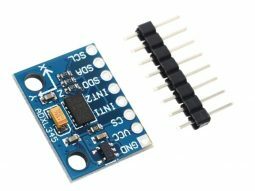 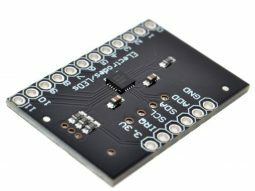 2 digital ports are needed to connect the sensor to a micro controller, an example sketch for Arduino is available in the download section below.